MUD HD Air is a silicone-based formula goes on like makeup, rather than paint, to create sheer, beautiful coverage with a dewy appearance. It is developed specifically for use with the airbrush and works seamlessly with other cosmetic products. Six out of the 22 shades have been formulated for extra versatility when mixing and color-matching. This lightweight formula can be used alone or blended with other airbrush colors to achieve a radiant, silky finish. Sheer coverage with dewy appearance. Formulated especially for use with airbrush. CB2 - A light olive-beige color/ Suitable for light, slightly warm olive skin tones. CB3 - A medium-light olive-beige color/ Suitable for medium, warm olive skin tones. CB4 - A medium olive-beige color/ Suitable for medium, warm olive skin tones. CB5 - A medium olive-beige color/ Suitable for dark-medium, warm olive skin tones. DW5 - A dark, warm brown color with a slightly golden red undertone/ Suitable for dark, warm olive skin tones. GY2 - A medium brown color with a warm, golden olive hue/ Suitable for medium-dark warm olive skin tones. GY3 - A dark golden olive color/ Suitable for dark olive skin tones. WB2 - An extra-light warm beige color with a hint of olive/ Suitable for extremely light skin tones. WB3 - A light, warm beige color with a hint of olive/ Suitable for light to light-medium, slightly olive skin tones. WB4 - A light, warm beige color with a hint of olive/ Suitable for medium, slightly olive skin tones. YG1 - An extra-light golden olive color/ Suitable for very light olive skin tones. YG3 - A deep, golden olive color/ Suitable for dark-medium olive skin tones. Light - A creamy highlighter/ Perfect for contouring cheekbones, highlighting unwanted shadows, or sculpting dimension into the face. Shading - A natural shadow color/ Perfect for contouring cheekbones, slimming or minimizing strong features, or sculpting dimension into the face. Sweet Cheeks - A rosy pink color/ Ideal for creating a warm, blushing glow on light to medium skin tones. Tulip - A sheer, coral peach color/ Ideal for creating a natural, peach glow on light to medium skin tones. Black - A true black/ Can be used alone, or to deepen any color. Blue - A true blue color/ Ideal for creating characters. Mustard - A brownish-yellow color/ Can be used to simulate old bruises, or wherever yellow is needed. Olive green - Ideal for creating characters. Red - A bright red color/ Can be used to add an intense surface red that is naturally found in the skin. White - A universal highlight that can be used to lighten any other colors. Explore the entire range of Foundation available on Nykaa. 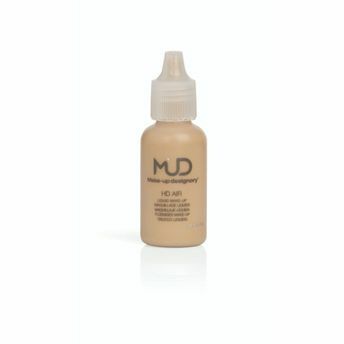 Shop more MUD products here.You can browse through the complete world of MUD Foundation .